One of the best-known events in Medellin is Feria de las Flores (Flower Festival). This event occurs every year in the first week of August, and it is a wild display of color and celebration that any traveler should try to see at least once. 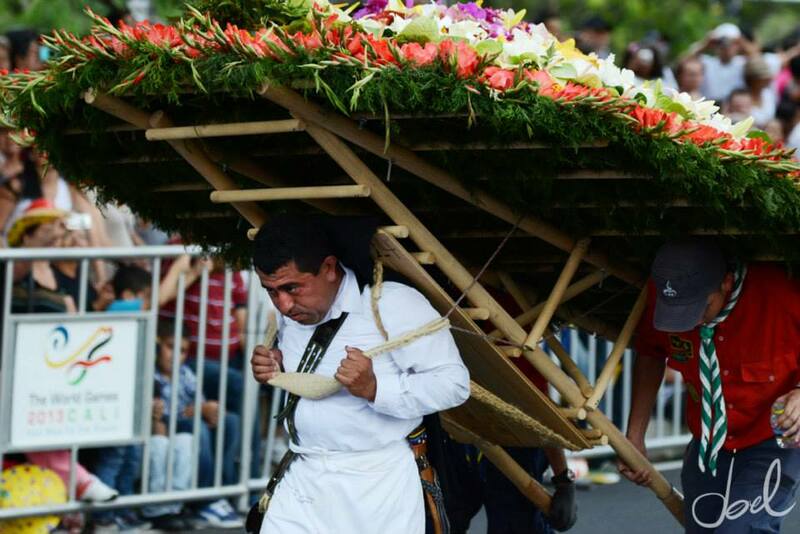 Medellin is one of the largest supplier of flowers in the world, and this festival honors the industry. 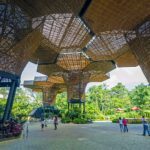 For more than four decades, the people of Medellin, tourists, and Colombians from around the country have come to the city for a week of partying and entertainment. The 2015 Feria de las Flores featured the traditional dog parade on the first day of the week. People from around the city dress their dogs in funny and entertaining costumes and walk the streets. Kids, families, and friends all participate, with man’s best friend as the star of the show. Free concerts will be held in various parks around the city. Last year, in Parque de Piez Descalsos (Barefoot Park), a world music concert was held, featuring artists and musical genres from across the globe. This was a very fun event for the whole family. Throughout the week, you can visit the botanical garden to see their featured exhibits on orchids, birds, and flowers. The exhibits last three to four days, and draw huge crowds. One of the best parades in the festival is Dapper Day. Dapper Day is a parade featuring classic antique cars. Car owners get to show off their well-preserved, classic rides. In addition to cars, dump trucks and fire trucks get decorated and join the parade. 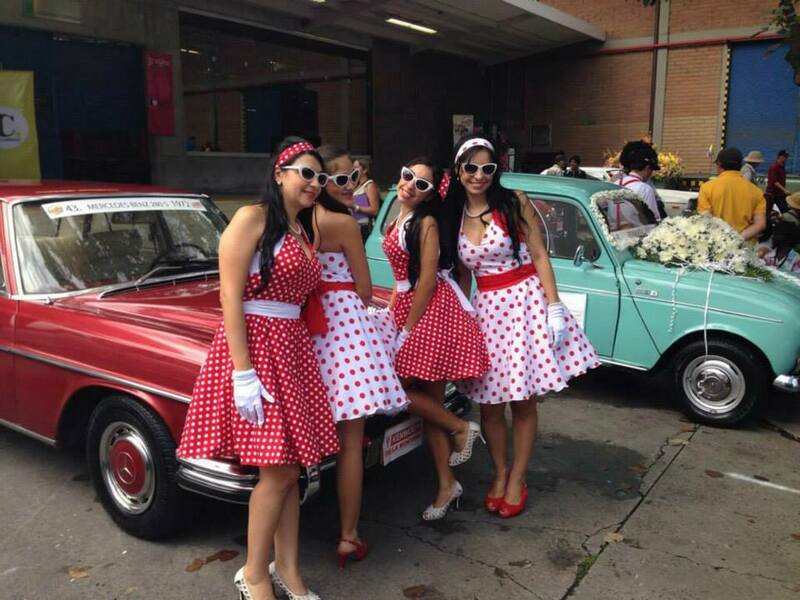 Many people dress in 1950s-style clothes, to complement the cars. The 2014 Antique Car Parade was held on Friday, August 7. What was once a featured event in the flower festival has been removed from the calendar. 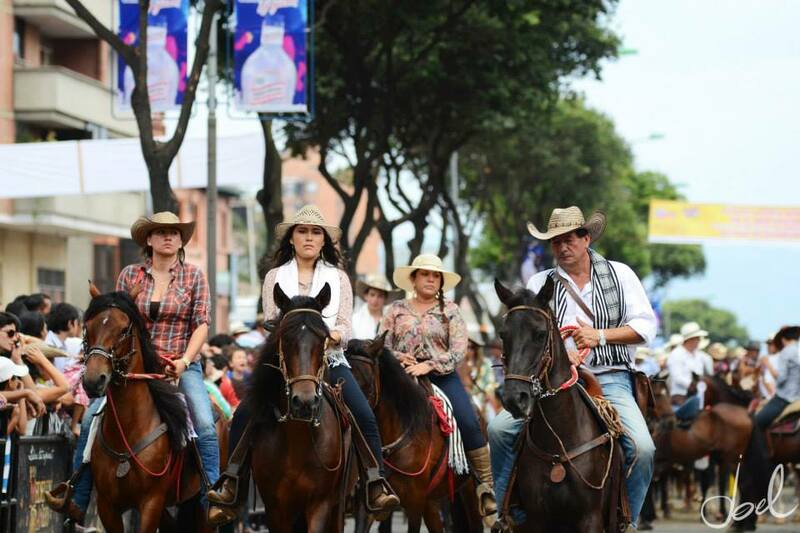 Along the route of the Medellin river, the streets would close down for Cabalgata, the Horse and Cowboy Parade. This event is no longer part of the festival, because it’s thought to be cruel to the horses. However, Cabalgata lives on. Privately funded, the event takes place in a secluded area outside of the city. On Saturday, everyone goes to Santa Elena. A small town, only a 45-minute bus ride away from Centro, it gets packed with people. Be sure to get downtown early to beat the lines of people waiting for the bus – and to make it into town before 3 PM, when the streets entering Santa Elena are closed, permitting no more vehicles to enter. If you’re going to Santa Elena, make sure you have somewhere to stay there. There is a fabulous finca hostel in town, run by an Italian man and his family. Or if you know someone with a house there, that will work, too. Santa Elena is where silletas are crafted. A silleta is a giant chair, decorated with beautiful flowers and displaying a theme. The best reason to go to Santa Elena is to visit each finca and watch the silletas being crafted, and to party with the families. The people there are incredibly inviting. They barbecue up some chorizo and beef, and grill arepas. Loud vallenato music is played throughout the house, aguardiente is passed around, and everyone is dancing. This is all happening while the silletas are being made. The party usually goes on until about 3 AM, as the silletas are crafted to perfection. About two hours later, the silleteros (people who carry the silletas) take them down to Medellin. Saturday is the day to party with the silleteros and their families, while they make the silletas; the following day, Sunday, is the Parade of the Silleteros. Thousands of people attend this parade, which is full of silletas, dance troupes, and marching bands. The silletas are judged in competition, with various categories such as traditional, commercial, children’s, and juniors’. The winners walk in the parade, in the order they are judged. You must bring a camera to this parade to capture these amazing works of art. Feria De Las Flores is absolutely worth attending. The flower festival is a true reflection of paisa culture; with its colorful displays and beautiful traditions, you get the feeling of what it is like to be Colombian. When you book your trip to Medellin for Feria De Las Flores, contact GoToMedellin to rent an apartment. We will be happy to inform you about all the festivities.